While exploring the remote coral reefs of Raja Ampat in Indonesia, Dr. James Thomas from the Halmos College of Natural Sciences and Oceanography, Florida, and his colleagues from Naturalis Natural History museum in the Netherlands, stumbled across a small but extraordinary crustacean living inside another reef invertebrate in a commensal association (without causing any harm, nor benefit to its host). 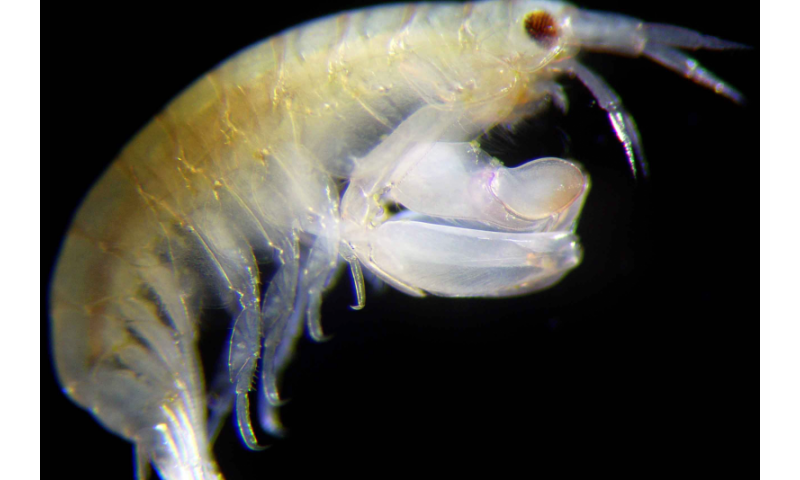 In his amazement to the amphipod's unusual form, Dr. Tomas called it L. eltoni after musician and actor Sir Elton John. The research is available in the open access journal ZooKeys. "I named the species in honour of Sir Elton John because I have listened to his music in my lab during my entire scientific career," the lead author explains. "So, when this unusual crustacean with a greatly enlarged appendage appeared under my microscope after a day of collecting, an image of the shoes Elton John wore as the Pinball Wizard came to mind." Taxonomists, scientists who study and name new species, have the choice to pick names that are relevant to locations, features of the animal, or people the scientist admires. In an interesting twist L. eltoni is now reported from Hawaiian waters as an invasive species. "Several years ago I was contacted by scientists from the Bishop Museum in Honolulu to help identify an unusual amphipod they had collected," said Thomas. It proved to be the same species as the one from Indonesia. 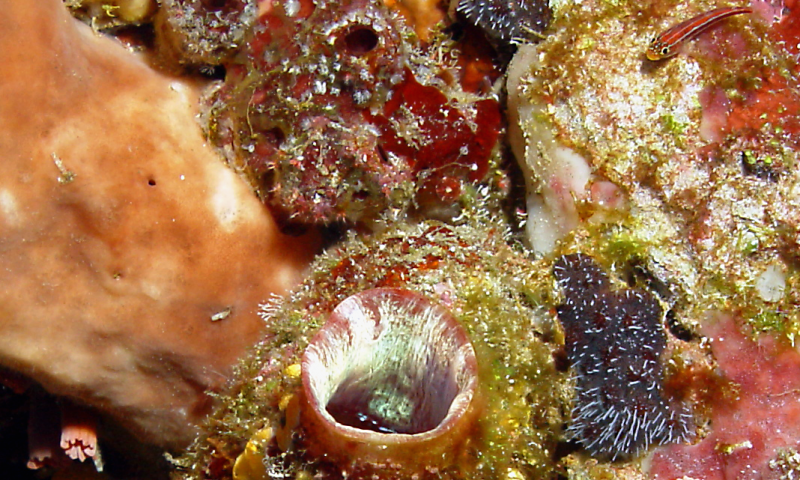 The most likely scenario for its introduction into Hawaiian waters was as a hitchhiker inside its host sponge or tunicate that was attached to a large floating drydock transported to Hawaii from Subic Bay, Philippines. Recent studies by Dr. Thomas in the Philippines during a California Academy of Science expedition in 2014 have shown this new species is also found there. Marine animals can have unknown effects when transported to other ecosystems where they can compete with native species. In most cases these "invasions" go unnoticed. However, because scientists at the Bishop Museum had established a baseline of species over the years the presence of this invasive amphipod was quickly noted. "Such studies show the importance of regular environmental monitoring, especially in tropical environments," commented the scientist. He also pointed out that even though their tiny size, crustaceans such as L. eltoni provide crucial information about reef health.